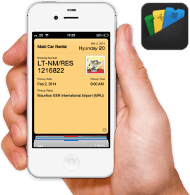 All cars booked with us in the Seychelles come with a free GPS device. 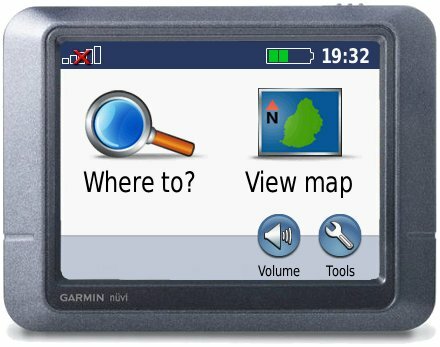 Many locals and frequent visitors would probably tell you that a GPS device is not necessary in the Seychelles. That is true, but if you are a first time visitor it can be quite useful. Especially on your first day, when you might need to get from the airport to your hotel. Having a rental car when visiting Mahé makes your life much easier. The impressive scenery of the north coast or the beautiful bays in the west need to be seen to be believed. A drive up over Sans Souci, through the Tea Plantations, followed by a trip to the capital, Victoria, will also be worth your while. You can see the entire island in several hours, including stops at beaches and anything else that catches your eye. 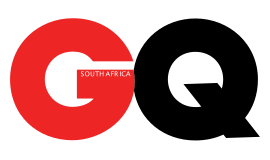 Driving is by far the easiest way to pick up groceries if you go with a B&B or self-catering option for your accommodation. A car will also help you access the stores where locals do their regular shopping and where the prices are more reasonable compared to the small shops located along the coastline. You shouldn't miss the Botanical Gardens in Victoria, a broad collection of exotic plants within five acres of landscaped tropical gardens where you can see giant tortoises. 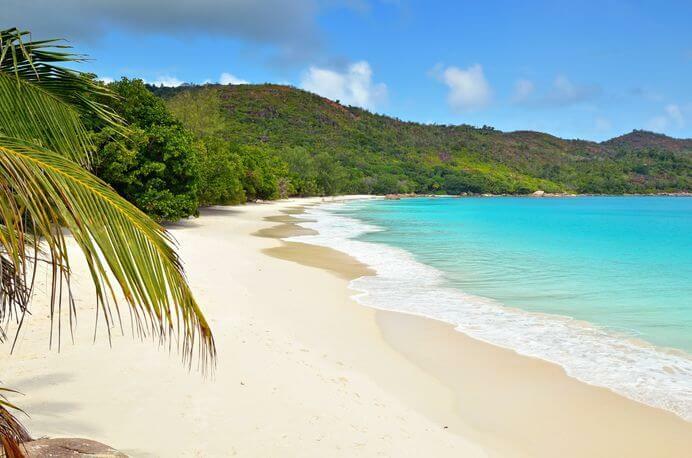 Then, on the north west coast you'll find Beau Vallon beach, one of the most populated and lively beaches on Mahé. For a session of surfing and massive waves, we recommend Anse Intendance or Grand Anse. The romantic ones need to visit Anse Takamaka beach: its golden sands and blue waves represent the right background for honeymooners. The roads on Mahé are low-traffic, mountainous and narrow, so caution is generally advised. Hiring a car on Praslin Island gives you the option to find relatively cheap accommodation since you don't have to stay close to the main tourist areas. With your rental car, you can, for example, do a trip to Vallée de Mai, one of the Seychelles’s two UNESCO World Heritage Sites. Here you'll find "Coco De Mer", the unique, worldfamous coconut and you can even buy one. Don't miss all the amazing beaches such as Anse Lazio and Anse Georgette, both appearing on the top 10 world’s best beaches list. You might, as well, take a tour of the Black Pearl Farm and find out all about the clams that produce this unique jewelry, maybe even buy some as souvenirs. A visit to Praslin Museum will also be worth your time. You'll have the chance to feed domesticated fruit bats, admire giant tortoises and discover the history and customs of this unique island. Praslin is a destination suitable to those who truly appreciate nature, as its lush vegetation and abundant animal life are an important part of the island's identity. The roads are quieter than on Mahé and the pace of life is slower. Taxis are very expensive in the Seychelles, so hiring a car will pay out after very few trips already. Buses are also available on Praslin and Mahé. However, operation hours/frequencies and the air-conditioning might not live up to your expectations. Car hire in the Seychelles grants you the freedom to explore the island and get the most out of your holiday. We make the rental process easy for you by delivering your car right to your hotel or to the airport. Since we are active on both main islands, "island hoppers" can book their cars with us in one place instead of dealing with two different companies. As an additional service, we offer all of our customers a complementary GPS device during their rental. You should also know that driving in Seychelles is on the left side of the road. In case you're wondering if you need an international drivers license before hitting the roads in Mahé or Praslin, don't worry, for most people this should not be a problem. If it is possible to make some sense of your license without special language skills, you are good to go with your domestic drivers license. The deposit is typically €1,000 (~$1,145). Even you you choose an insurance package with a lower deductible, you may still need to pay the full deposit. The policy depends on the circumstances; specific information is displayed during the booking process. In case of an accident, your entire deposit may be withheld. However, if you booked a package with a lower deductible, we will reimburse you later so that you effectively only pay for damages up to deductible you chose at the time of booking. You can pay the deposit when you pick up the car either in cash (in the currency shown; other currencies upon request) or by credit card. The amount will usually remain blocked on your credit card throughout the rental period, effectively lowering your spending limit. Therefore, please make sure that the full amount is available on your card and that the owner of the card is present at the time of pick-up. If the car is brought back in the same condition as when you picked it up, you will receive the full amount back. 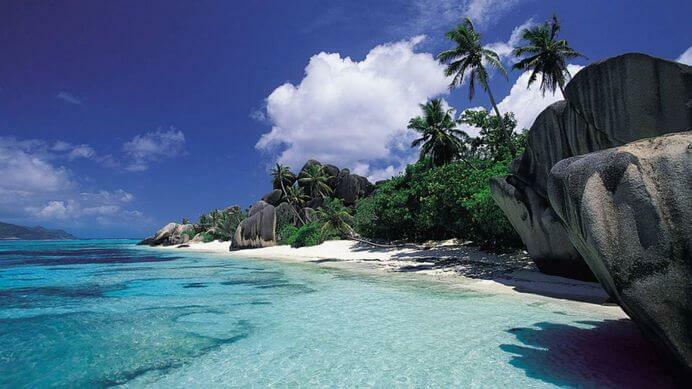 Tourists are allowed to use their existing drivers licence in the Seychelles for up to three months. Read more about when an International Driving Permit is required in the Seychelles.